Which Doncaster Properties are Selling the Best? Moving home is said to be the third most stressful life event, following a member of your family dying or getting divorced. So it is always best to keep your stress levels down by investigating and doing your homework on both the particular area of Doncaster (or nearby conurbations) where you live (i.e. 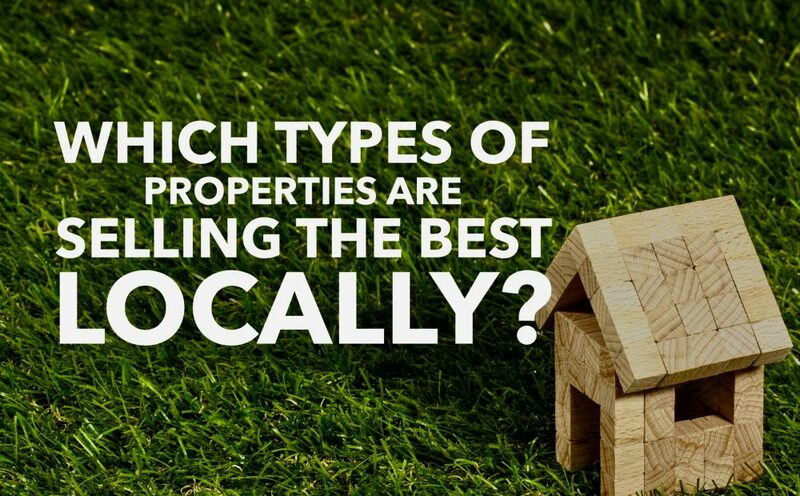 where you are selling) and where you want to search for your next Doncaster home. Being mindful of how fast (or slow) the different aspects of the Doncaster property market is moving is key.. because it could save you much heartache and many thousands of pounds. You see, if you know you are selling a property in a sluggish price range and buying in a faster moving price range in Doncaster then putting your property on the market first is vital, otherwise you will always find the one you want to buy tends to sell before your property sells – there is nothing worse than pondering over a property only to find that someone else has bought it. Being primed with all the knowledge is key. On the other side of the coin, if you are selling in a fast moving market and buying in a sluggish market .. you can probably get a better deal on the one you are buying. For buy to let landlords in Doncaster, this evidence is particularly critical as purchasing a high-demand property in a well-liked area of Doncaster will safeguard a surfeit of availability of tenants, as well as respectable house price growth. Being an agent in Doncaster, I like to keep an eye on the Doncaster property market on a daily basis because it enables me to give the best advice and opinion on what (or not) to buy in Doncaster; be that a buy to let property for a landlord or an owner occupier house. So, I thought, how could I scientifically split the Doncaster housing market into sections, so I could analyse which part of the Doncaster property market was doing the best (or the worst). I took the decision that the preeminent way was to fragment the Doncaster property market into roughly four uniform size price bands (in terms of properties for sale). 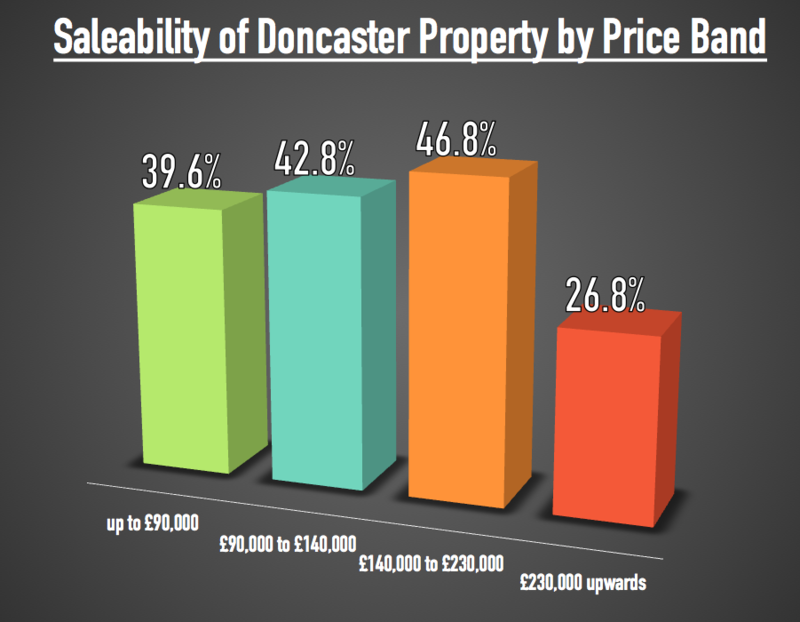 Each price band would have roughly around 25% of the property in Doncaster available for sale .. then add up all the sold (stc) properties and see which sector of the Doncaster property market was performing best? … And these were the results .. The best performing price range in Doncaster is the middle to upper market £140,000 to £230,000 where 46.8% of all property in that price range has a buyer and is sold stc. It’s not unexpected that the upper end of the property market (the top 25%) in Doncaster is finding things a little tougher compared to the others. Remarkably for Doncaster landlords, the lower market is doing reasonably well, but it’s not the best, so maybe there could be some property deals out there for buy to let investment? Even though the number of first time buyers in 2018 did increase over the 2017 levels, it was from a low starting point and the large majority of 20 to 30yo’s don’t want to or can’t buy their first home and the local authority has no money to build Council houses meaning an increase in demand as private landlords take up the slack – because everyone needs a roof over their head! If you would like to pick my brains on the Doncaster Property Market – pop in for a coffee or drop me a line on social media or email.